That’s the view of LoyaltyX CEO and customer loyalty expert, Philip Shelper, who has just completed a trial in partnership with the University of NSW that saw students and staff earning cryptocurrency instead of points in return for day-to-day purchases with merchants across the campus. Shelper told CMO more than 170 students and staff and 12 merchants participated in the seven-week, ‘world-first’ trial, which was backed by the NSW Government via its Boosting Business Innovation Program. Participants signed up to a Web-based application designed for ‘Unify Rewards’ cryptocurrency program and earned a digital stamp for each purchase, tracked via scannable barcodes. Ten stamps translated to $10 worth of ‘Ether’ cryptocurrency. Ether is the second-largest cryptocurrency by market cap globally after Bitcoin. PicoLabs also provided scanners for the trial. Participants were then given four options on how they accessed their Ether currency: Cash it in for a gift card; have the currency directly deposited into their bank account; transferred to another participant; or banked directly and held in an Ether wallet. Shelper said 66 per cent chose to transfer the currency earned into an Ether Wallet, with the majority of remaining students cashing it in via their bank account. Just 5 per cent chose a gift card. Shelper attributed these results to two factors. The first was that the UNSW trial gave consumers the opportunity to earn cryptocurrency without initially setting up a crypto wallet, a somewhat complex process given immaturity of the technology. Ether currency being earned at UNSW was held in trust by LoyaltyX, which meant only participants wanting to trade or save currency long-term were required to set up an Ether wallet. Notably, students who chose to keep their Ether rather than cash it have seen its value rise by about 450 per cent, Shelper said. During the seven weeks, participants saw their Ether balance increase in value by 30 per cent. Introducing cryptocurrency also changed participant purchasing behaviour, UNSW associate professor of the School of Computer Science and Engineering, Salil Kanhere, said. Over the trial, 83 per cent adapted their spending patterns in order to earn more cryptocurrency. For Shelper, introducing cryptocurrency into customer loyalty programs will transform the very nature of the industry. Prior to establishing his own customer loyalty program consulting business, Loyalty & Reward Co, Shelper spent several years on the Qantas Frequent Flyer program. Labelling himself a “loyalty historian”, Shelper noted the predominant form of generating value within loyalty programs today is to offer miles or points, a concept first introduced in the 1980s. “Periodically, there’s a dominant loyalty currency that takes the market, then gets superseded by something superior. That generally relates to better value,” he explained. “The reason you join the programs is you thought you’d get value out of doing so. And the reason you continue to engage with these programs is because you feel you’re getting value of it. 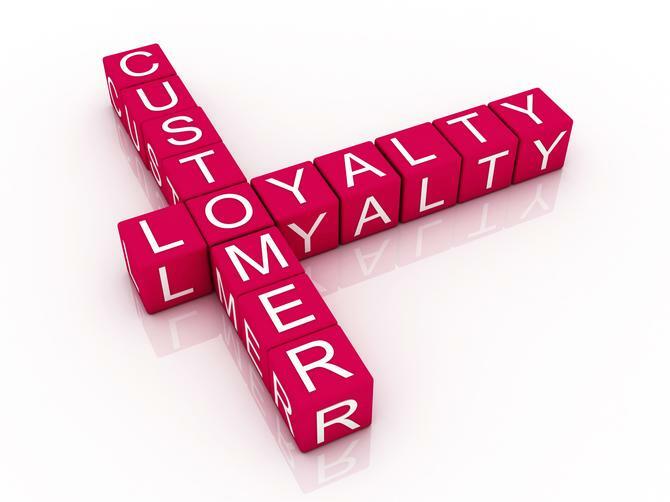 Shelper has established LoyaltyX to explore these new loyalty operating opportunities. “Crypto solves all of these problems. They don’t expire, and can be used anywhere or be transferred into cash,” he said. “But the most exciting part is the value. Unlike a points program, where brands can create as many points as they like, there is a finite amount of cryptocurrency. So as demand increases, the price and value of currency increases as well. This doesn’t mean more risk to the program loyalty program provider, however. For example, what merchants have done historically when acquiring third-party miles or points, is used a percentage of the total purchase price of what a consumer buys to cover the cost. “With crypto, the same dynamic applies,” Shelper said. “Rather than earning 2 crypto coins, you’d earn 3 per cent of the value of the transaction. The program operator takes that 3 per cent and buys currency from a crypto trading exchange. Ultimately, Shelper saw the rise of cryptocurrency in loyalty programs as a way for the next-generation banking system to build a mass market presence. Having cryptocurrency rather than brand-specific points or miles does raise branding questions, too. But Shelper noted coalition loyalty programs in existence today, such as Nectar in the UK and Fly Buys in Australia, which run across multiple merchants using a shared currency. “We think in the first instance the opportunity for us to build that kind of program,” Shelper said. The LoyaltyX team has recently been to the UK and is working with investors to raise seed funding to help launch its cryptocurrency-based customer loyalty program offering later this year. So what happens to the customer data being gained through the program? Shelper said this is where things get even more exciting. Specifically, he suggested blockchain’s role in the experience economy will transform the way brands and consumers interact. Blockchain could in, turn, change the nature of how customer loyalty data is captured and used by marketers in any customer activity. Over at UNSW, the loyalty program trial is one example of a range of activities being instigated around cryptocurrency, blockchain technology and how both can be applied to consumers and businesses. The university recently established a blockchain interest group across all faculties, and is running fortnightly seminars led by internal and external speakers to further knowledge around the burgeoning technology. It’s also looking at the feasibility of building a dedicated blockchain research centre. One technology-based project, meanwhile, see the computer science faculty looking into the application of blockchain for the Internet of Things.